DoP64, DoP128,Native DSD64, 128, 256, and PCM 16-32bit, 32-384 KHz are supported via USB. OPA1611 with ultralow distortion for LPF and high current OPA1688 for output buffer. Elegant front panel and aluminum housing. Unique claw-style suspension feet. 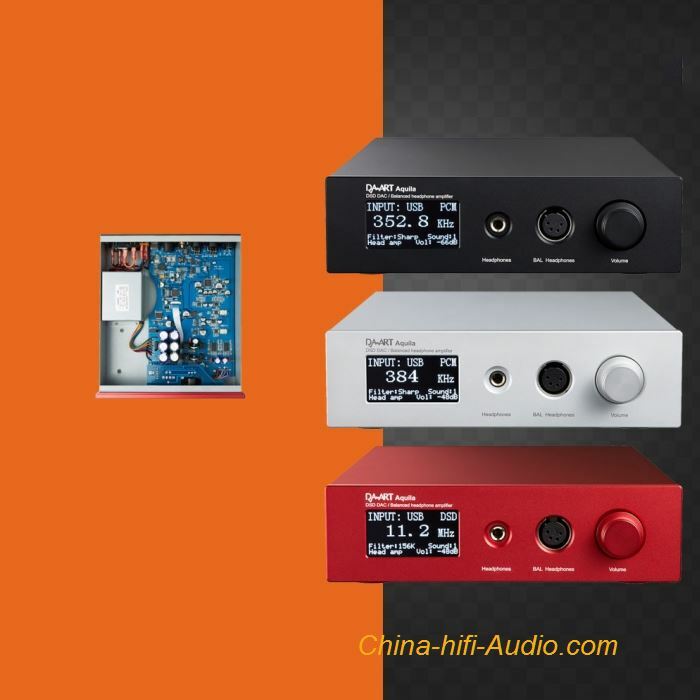 Single-ended headphone amp: 100mW @ 600ohm, 180mW @ 300ohm 350mW @150 ohm, and 1W @ 32 ohm. Balanced head phone amp: 200mW @600ohm, 360mW @ 300 ohm, 700mW @ 150 ohm, and 1.5W @ 32 ohm. Headphone amp THD+N Less than0.001% at full level.